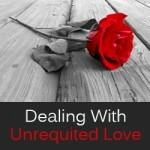 The current day and age, navigating the confusing and often contradictory world of dating rituals can be an intimidating and frustrating experience. “Never call a man”, “Don’t ask a woman out, get her to ask you”, “Play hard to get”, “Tease her with small insults”, “Cook him a big meal”, “Don’t be too nice to her” and infamous “3 date” or “Two month” or “Six month” rules that schedule events as simple as “when to kiss”, “when to take a vacation together”, “when to propose”, etc. have ruined the spontaneity and fun of dating. “Do this, don’t do that”. Whatever happened to the REAL purpose of dating: to get to know another individual, to let time take its course and fall in love (for how can someone not fall in love with anyone they enjoy spending time with and learn to appreciate? ), and finally enjoying the feeling of being in love and being loved? 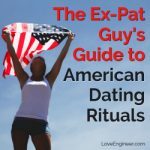 Unfortunately, American dating rituals and modern customs have made this last, but seminal point of the whole ordeal: to meet and get to know someone you will want to love, almost moot. c) the other person’s personality clashes with yours. In the case where you and your date’s personality clash, well, there’s nothing either one of you can do about it, so it is good to keep in mind when the dating process eventually arrives to its inevitable conclusion. But in this case you’ve both gained something out of the experience: you’ve met and gotten to know someone, and you’ve learned about yourself. If you handle things properly and the personalities are not insidiously incompatible you may have even won a friend. It is just a part of dating. But in the case of items a) and b), you should ask yourself if this is the REAL reason you are unsuccessful at dating. Perhaps it has nothing to do with whether you called her on a Monday or a Tuesday. Perhaps it is not whether you cooked him fish instead of chicken for dinner on the 3rd date instead of the 5th date. But if you think about it, all your actions–when/if you call, whether you buy her flowers or a card, whether you pick her up or she meets you somewhere, whether you treat her with respect or tease her with insults, whether you kiss him, sleep with him, or just hug him,what you do and where you go during your dates, etc, ALL OF THIS, is a reflection of both of those items. Is your life not together? Are you unemployed and can’t invite your date out to an activity that you will both enjoy? Do you have other commitments at home that require you to limit the time you have available for dates or cancel them while they are going on? Do you feel unhappy about where your life is going at this point in time? Are you in the process of moving away to some other location? Are you new in town? All of these circumstances and situations will affect how you date, and your personal situation will sooner or later become evident to the person you’re dating. If you’ve been smart enough to choose someone worthwhile to date, who has the same goals in dating as yourself (we’re assuming the only real purpose of dating is what we stated at the beginning: to meet and find someone to love), then when you don’t have your life in order they will immediately realize that investing in a long term relationship with you is probably a risky prospect. Many people might decide not to get further involved with you if this is the case. Are you an uninteresting person? Are you negative, sarcastic, or a general buzz kill? Do you have angry outbursts? Are you selfish? (selfishness is the biggest turnoff for women, while neediness seems to be the biggest turnoff for men). Or perhaps you don’t have any serious personality flaws but your life revolves around work and TV (or work and videogames, which seems to be the Bay Area equivalent!). Do you have fun hobbies that someone else (i.e. your date) might like to learn about or share? 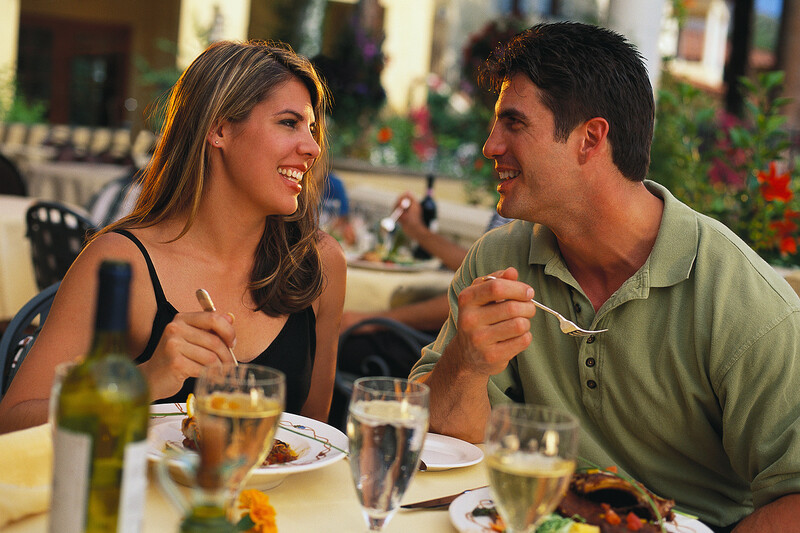 Do you have an exciting social life that your date might want to participate in? Are you happy? It goes without saying that throughout the dating process both sexes evaluate what the other person brings to the relationship. If you are unable to contribute in an amount equal to what your date brings, chances are the relationship won’t go very far. “Well, alright, these are all good points, but how does that help me when dating?” you might ask. 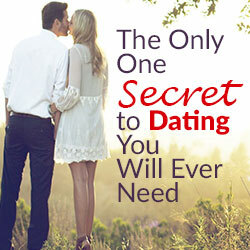 Well, the biggest secret to dating is –that there is just one secret. And this one secret is this: Are you happy? It is this question that encompasses all of those items a, b, and c. above. If you are a genuinely, unhesistatingly, and enthusiastically happy, you’ll be an irresistible date. Everybody likes to be around positive, high-energy people who are confident and content with where their life is at the moment. Rules will suddenly not matter, because if you’re happy you’ll have the confidence to break or follow conventions and rituals according to what feels right for the situation. If you are happy, too, you will know when to let go of dates or situations that are draining, unhealthy, or are not leading you to where you want to go. O.K., I forgot. There IS another little secret. 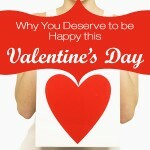 And it is this: date only happy people. Yes, they are rare (because many people say that they are happy when everything in their life reflects that they aren’t), but when you find one, and you are happy too, I guarantee you that your dating experience will be all that it was always meant to be: wonderful. Ooookay, this is on the one hand quite reasonable, and on the other hand completely useless. There is no benefit to deciding that dating problems stem from your being an uninteresting person, not having your life together, or not being happy. Focusing on these aspects is really a great way to make no progress on them whatsoever. Pray tell me, does it work your way? If so, why do you even have to read a website with dating advice then? If what you’ve always been doing doesn’t work, then maybe it is time to try something different. 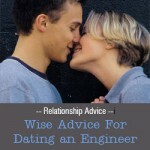 I think techiegirl’s advice is not bad: after all, if you’re a catch, then things will happen for you. So first work on being a catch, THEN focus on dating. Not the other way around.